Molecules called chromogens in these foods and beverages invade tooth enamel, attaching right to it. Some foods also contain a substance called tannin which helps chromogens stain teeth. Acids that soften teeth enhance discoloration. These extrinsic or surface stains are removed more easily than the dark color or mottling resulting from medications such as tetracycline and fluoride. Additionally, stains can reside more intrinsically because of simple genetics, tooth infection or nerve problems. These issues require restorative dental services such as porcelain veneers or even dental crowns to provide a measure of durability and beauty to the affected teeth. Teeth whitening lifts surface stains from enamel. Dr. Henkel provides convenient at-home teeth whitening for his Pennsylvania patients with healthy teeth and gums. He takes an impression of the top and bottom arch of teeth and fabricates plastic trays that fit tightly over the teeth. At home, the patient fills the trays with a safe, but effective, hydrogen peroxide gel, wearing the comfortable appliances for the time prescribed in the treatment plan. Over the next several days, a new, whitened smile will start to emerge. After a few weeks, patients see color change of up to 8 shades. This change lasts indefinitely with good dental hygiene, touch-ups with the gel and some lifestyle modifications (no smoking, fewer staining foods). The American Dental Association joins with dentists such as Dr. Gary Henkel in recommending that patients use dentist-supervised teeth whitening in Horsham. Skilled cosmetic dentistry, including whitening, produces the best results for healthy, bright smiles. Horsham Dental Elements delivers advanced dental techniques. Rest assured that Dr. Gary Henkel and his staff offer the finest in modern cosmetic, restorative, periodontal and preventive dental services in the Horsham and Philadelphia area. Dr. Henkel values continuing professional education, keeping his skills at the leading edge of dentistry. 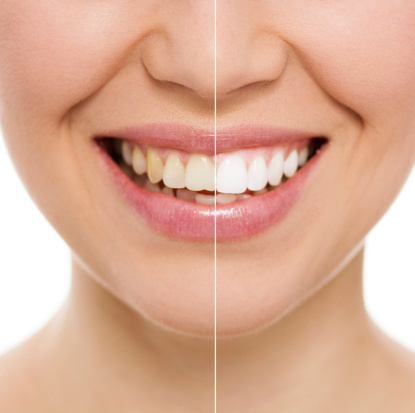 For a consultation on teeth whitening and your smile, contact the Horsham Dental Elements office convenient for you. In Philadelphia, call (215) 563-9769, and in Horsham, call (215) 672-6666.